You are interested in becoming a teacher in Colorado? Great! Teaching is one of the most rewarding careers in the world. Here are the steps to help you on your way toward becoming a licensed educator in Colorado. Before you become a licensed teacher in Colorado, it is important to think about what type of students and subject(s) you would like to teach. Elementary school? Middle School? High school? Special Education? Think about what areas interest you, and where you may want to teach long term. The Colorado Department of Education has information about school districts, students, and teachers within the state, which could help make your decision. As with all states, Colorado requires that licensed teachers at a minimum possess a Bachelor's Degree and complete an educator preparation program from an accredited university. It is very common for teaching candidates to complete the teacher education requirement as part of their Bachelor's Degree. This type of program is designed for people who know from the beginning that they want to become a teacher. Public school teachers in Colorado are required to possess a teaching license. This licensure is traditionally obtained after the completion of a teacher education program. The teacher education program must be approved by the state and accredited. Degrees or credits earned at institutions not approved by these organizations will not be considered towards licensing. The Colorado Department of Education also looks for regional accreditation from the North Central Association of Colleges and Schools (NCA). This organization is one of six regional accreditation agencies that are overseen by the US Department of Education. When considering a teaching school in Colorado, applicants should verify that it is in good standing with the NCA. Additionally, NCA also accredits online teaching certification schools, and even if it is out of state, the student should verify that it is in good standing with one of the six regional agencies. Educator preparation programs in Colorado generally consist of two elements: curricula and fieldwork. Fieldwork often includes classroom observations, internships, student teaching, or a combination of all three depending on your school. Curricula usually focuses on pedagogy (the art and science of teaching), integration of educational technologies, content-based teaching methods, differentiated instruction, assessment, and more. Successful student teaching will usually require the teaching candidate to work with a licensed teacher in order to create and implement lessons based on the needs of the student population. If you were not in a blended Bachelor's Degree and educator preparation program, you may go the post-baccalaureate or alternate route. Aside from the traditional route, there are some alternate paths to teacher licensure in Colorado. In order to be eligible for the alternative teacher certification program, one must hold a Bachelor's Degree or higher from an accredited institution and be willing to work full time as a teacher while receiving mentoring and education from a designated agency. This is to ensure one acquires the knowledge and skills necessary to teach effectively. Applicants must also have a clean background check and demonstrate the ability to teach the content area for the endorsement they are seeking. One and two-year alternative teaching programs are available to qualified candidates. In a one-year program, the prospective teacher begins teaching in the classroom immediately. The two-year program involves a mentoring program for the first year, then moves on to classroom teaching. Both programs require the eligible candidate to apply for an Initial Colorado Teacher's License after the alternative program is completed successfully. Unlike most other states, Colorado does not require a Basic Skills test, but it does require a Subject Area Competence test. An applicant must take the Subject Area test to evaluate their competencies in the specific area they wish to teach. In Colorado, prospective teachers must take and pass the Program for Licensing Assessments for Colorado Educators (PLACE) examination or Praxis II in order to become eligible for certification. Since the PLACE exam is specifically designed for Colorado, it is the preferred testing method. However, the Colorado State Board of Education also accepts Praxis II scores for five teaching areas: Elementary Education, English, Mathematics, Science, and Social Studies. After your application processes and you become licensed, you will be ready to begin your career as a teacher in Colorado! You will be ready to inspire and motivate our future leaders. Due to a job market that is keeping pace with national growth, as well as teacher attrition, there are plenty of jobs available in the state of Colorado for new and transferring teachers. The state Department of Education has partnered with teachers-teachers.com in order to make searching for a teaching job in Colorado more accessible to candidates outside of the state. Once hired, unions like the Colorado Education Association (CEA) and the Professional Association of Colorado Educators (non-union) can help teachers further their career goals, as well as be supported during career difficulties. Retired public school teachers will be eligible for a monthly pension and some benefits through Colorado's PERA (Public Employees' Retirement Association) which benefits over 500,000 state employees and more than 500 state organizations. For teachers who are seeking employment outside the state's public education system, Colorado has over 550 private schools that feature on average, an 11:1 student to teacher ratio. Half of the state's private schools have a religious affiliation. Teachers who are employed through a private school may experience that there will be a difference in salary, benefits, or other career differences from the public school system. The table below lists the number of public school teachers in Colorado by grade level during the 2012-2013 school year. There are more than 390 private schools with an estimated 4,400 private school teachers in Colorado. The table below details the number of teachers by grade level during the 2011-2012 school year. Professional development for educators relies on the integration of instructional strategies that are designed to support how all students learn. These instructional strategies are designed to help teachers integrate methods to help diverse sets of students achieve. The Colorado Department of Education regularly provides professional development on a variety of topics. The CDE also allocates funding for school districts' professional development and retention efforts. 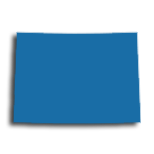 The Colorado Department of Education provides an updated calendar of Professional Development workshops and conferences sponsored or approved by CDE. Your initial teacher license in Colorado will expire in five years, and you only get the option of renewing it once, for a period of three years (in exceptional circumstances you may be allowed additional three year renewals). That means that eight years after you start teaching in Colorado, you need to have completed a CDE-authorized teacher induction program and have applied for your professional teacher license. But you can't put your feet up just yet; five years after you obtain that professional teacher license, it will also need to be renewed. And that's where earning a master's degree can give you a boost. Professional license renewal has an educational component that requires either 90 clock hours or 6 semester hours of study to be performed within the five year period leading up to the renewal. One of the best parts of the Colorado license regime is that it allows you to apply credits from any accepted regionally accredited institution, including those outside the state. That gives you the option of completing your master's at a school that offers the right fit for you, not just the selection that happens to be available in-state. Nor does the credit have to be earned in the narrow range of your current content-knowledge area, offering you the freedom to expand your horizons and expertise. It's also a way to expand your bank account. Using the step and lane salary schedule adopted by most Colorado school districts, earning as few as 16 credits can bump your pay by as much as 5 percent annually. In Colorado Springs, for example, a starting teacher with only a bachelor's degree will earn a flat $39,000, while one holding a bachelor's degree and sixteen additional credits will earn $40,800. Although that's fine for a while, it has diminishing returns: after accumulating 32 credits, you've hit the top lane. Anything beyond that requires holding at least a master's degree. Since you will already be needing credits for both salary and license renewal purposes, it only makes sense to apply them toward that master's to put you further along the way to a higher salary category.